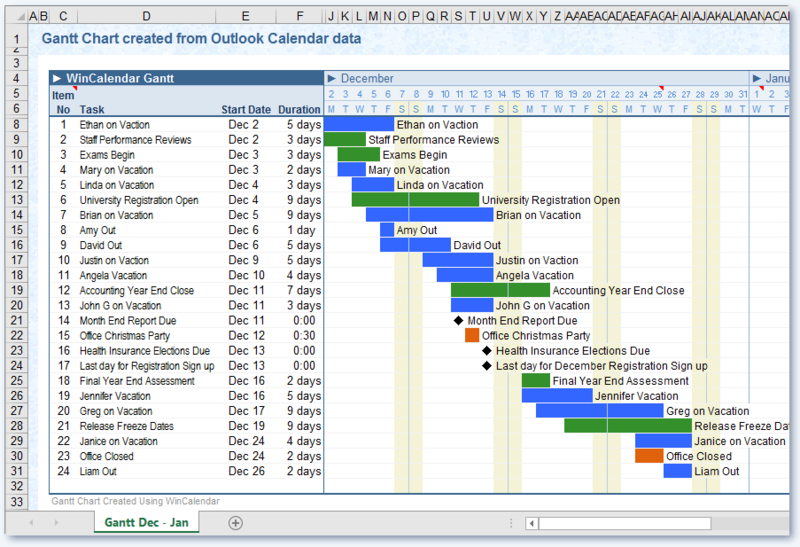 Create a Gantt Chart in Excel from your calendar data. The created Gantt Chart is cell based and not Excel chart based. This makes it easier analyse and filter the data.